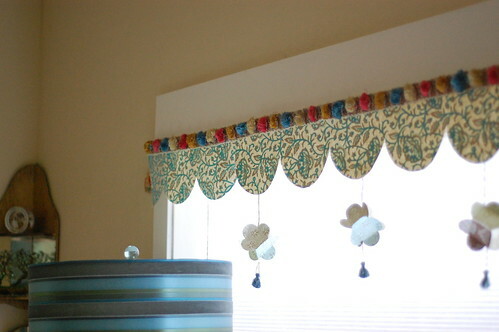 I made the scalloped "valance" using flocked paper from The Paper Zone. 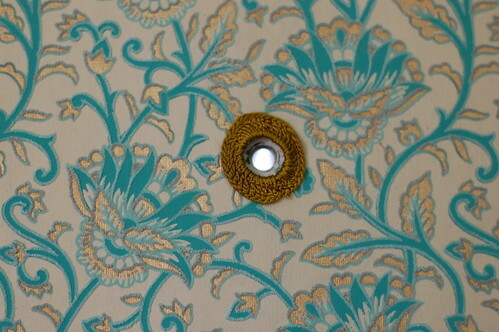 The chenille dot trim on top was a find from a trip to Spain, many years ago. 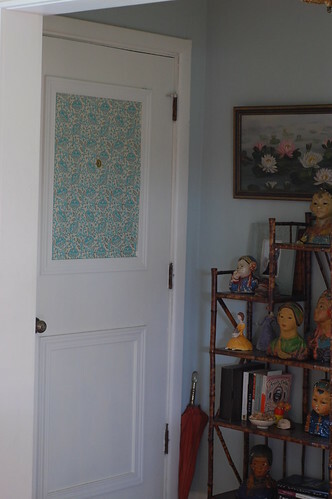 The lanterns are made from vintage wallpaper and scrapbooking papers. I used the same flocked paper to trim the front door. I cut the paper to size, then cut a small circle where the peep hole is. I glued a small crocheted circle around the hole, to finish it off.